Unusually for an encounter with Rangers, match was of academic interest only, other than it presented an opportunity for to record their first victory of the season over the Ibrox outfit. Unfortunately, despite almost constant pressure, apart from some ten minutes or so. 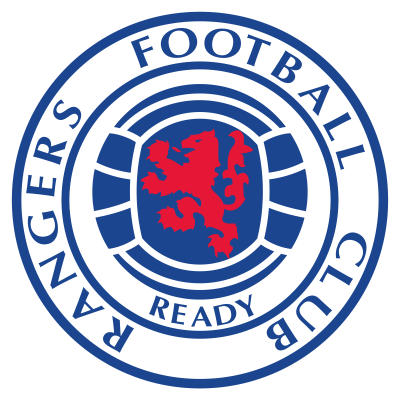 Rangers retained that unbeaten tag, although even the most die-hard Ibrox supporter would have conceded that the better side lost. Robert Prytz opened the scoring from the penalty spot just before half-time. Peter McCloy pulled off a string of remarkable saves to deny United and then Ally McCoist broke clear to score a second near the end. Substitute Davie Dodds did back that lead in the last minute but it was too late to affect the final outcome. Firstly I must thank you for your support over the past season. Most managers would probably have accepted a semi-final place in the European Cup and League Cup plus a place in the top three if that had been on offer at the start of the season. But, I, for one am very disappointed with the past season. I don't feel we have made any progress over these past twelve months. 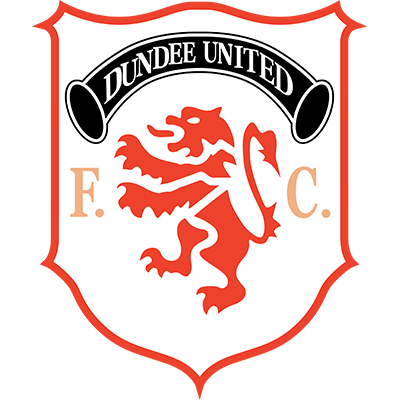 I would say that we are less attractive, and even takipg into consideration the injury to Paul Sturrock and the difBculty of improving on our previous season's performance, I am still of the opinion that we could have done better than we did. We flopped completely in the League Cup semi-final games with Rangers and after getting into a very favourable position in the European Cup semi-final, literally threw away a golden opportunity with probably our worst performance of the season in Rome. The fact that the youngest player in our side, Maurice Malpas handled the situation better than any other is a condemnation of the remaider of the side. Speaking personally, I am very much looking forward to a close season break for the first time in three years. My involvement with Scotland in the World Cup and last year's Canadian tour has meant almost three years of constant football. Paid Sturrock and Dave Narey have been subject to the same demanding schedule. 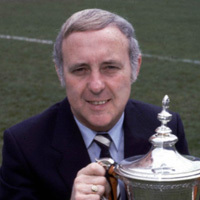 Now I hope the players, too, can get away from football completely for as long as possible, because, having won no trophy this year, the ambitions of all here at Tannadice must be to improve on our record next season. 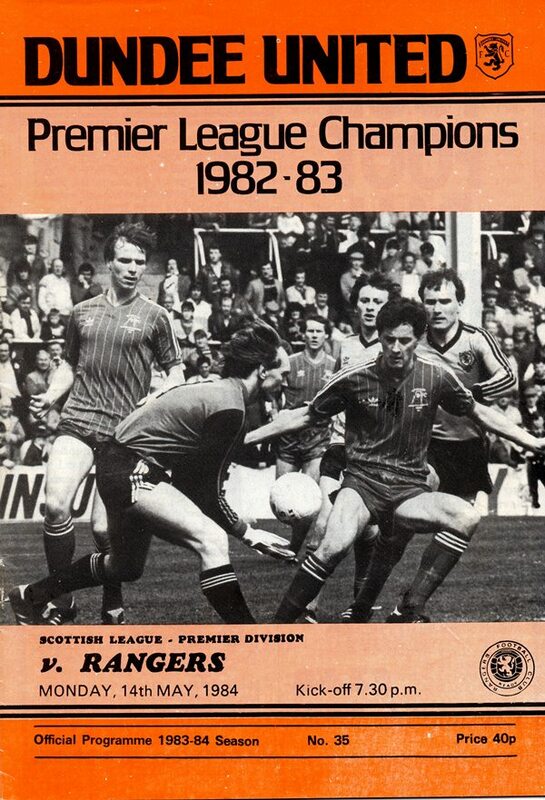 We couldn't have asked for more attractive opposition than Rangers for our last match of the season, and they are to be congratulated on capturing the League Cup. In closing, I would reiterate my thanks for your support and trust that you all have a good break during the summer because we will again require your backing next season.